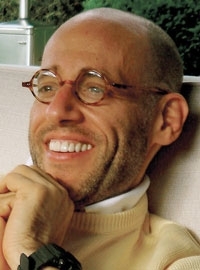 Peter Arnell was named Chrysler's “chief innovation officer” in 2008. In his new autobiography, ad executive Peter Arnell makes no apologies about his two controversial stints at Chrysler. In fact, quite the opposite. Arnell was the prime mover behind Chrysler's disastrous 2004 campaign for the Pacifica crossover, the one that featured singer Celine Dion. Chrysler canned the Arnell Group. But when old friend Bob Nardelli brought Arnell back to Chrysler four years later as "chief innovation officer" -- and gave him a seat on the product planning council -- marketing types did a double take. It looked like a redemption tour. 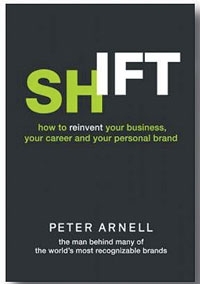 Shift: How to Reinvent Your Business, Your Career and Your Personal Brand relates Arnell's self-described history as the "man behind many of the world's most recognizable brands." But his "Drive Equals Love" campaign, which is said to have cost Chrysler $14 million, was unpopular with dealers and didn't seem to help sell Pacificas. Of the Dion ads, Arnell writes: "For whatever reason, despite the positive consumer feedback, the campaign was not heralded in the press or by the trade to the degree Chrysler had expected. Had this entire effort been a mistake?" Arnell answers his own question: "It fulfilled everything creatively I set out to achieve." As for his 2008 Chrysler encore, Arnell claims credit for developing the GEM Peapod, an all-electric vehicle from the automaker's Global Electric Motorcars division. "With the dream defined, I began designing the vehicle, reinventing all the steps and processes that go into car design. When we were all done, we gave the Peapod a front grille that almost makes the car look like it is smiling. We had designed a happy vehicle, in response to what the world needs in a car." Chrysler never built a production model.